This post is sponsored by Jergens. However, all opinions are my own. I really enjoy Summer fun in the sun. Especially when it involves the beach. But Summer can really take a toll on the skin. Even more so when you have super dry skin like mine. I need a lotion that not only moisturizes my skin, but soothes and rejuvenates as well. 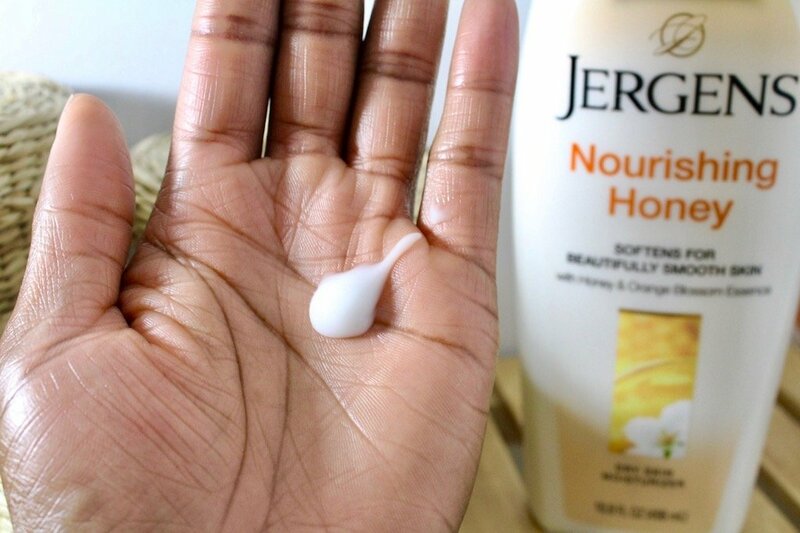 In comes Jergens Nourishing Honey Dry Skin Moisturizer. 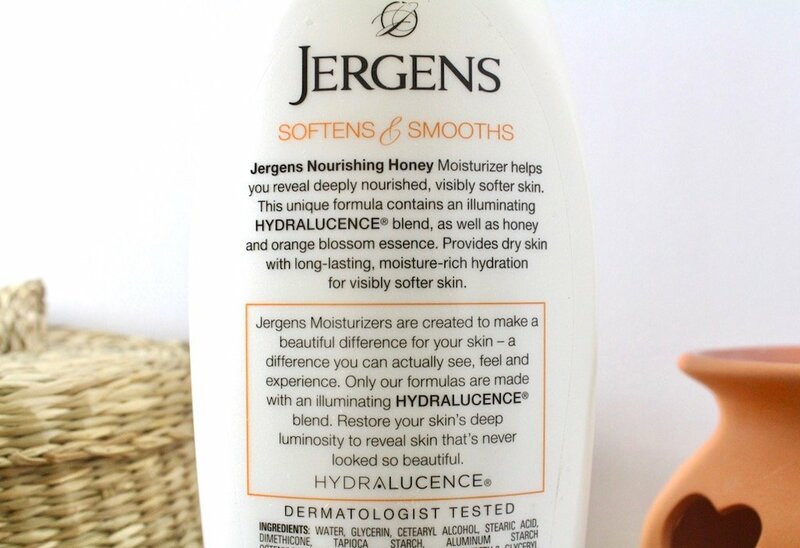 Jergens Nourishing Honey quenches dry thirsty skin with long-lasting moisture. The unique formula includes illuminating HYDRALUCENCE™ blend which restores skin’s luminosity and eliminates dullness. The formula also includes honey, which attracts and retains moisture. Along with orange blossom essence which soothes and softens skin. This combo helps to reveal deeply nourished, visibly softer skin. I apply Jergens Nourishing Honey straight out of the shower while my skin is still damp, and it drinks it right up. The moisturizer absorbs completely leaving my skin feeling soft, moisturized and silky smooth all day long. The fusion of honey & orange blossom smells amazing and has a kind of tranquil effect on me. The fragrance makes me feel so calm and relaxed. That’s why I love using Nourishing Honey before bed. Yet, it’s also perfect in the daytime since the light & sweet scent doesn’t clash with my perfume. The Jergens Nourishing Honey Dry Skin Moisturizer has definitely earned a spot in my Fall bath & body product line up. It’s been my go to moisturizer for the last few weeks, and I can’t stop reaching for it. My super duper dry skin loves it!